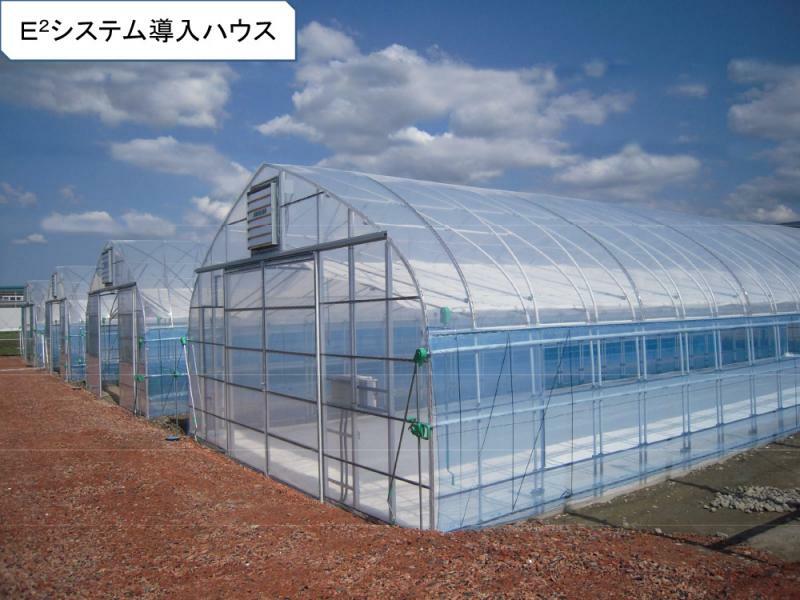 This is a revolutionary heat reflection and insulation concept! When sun rays strike the paint's surface, part of the infrared light changes into heat energy, breaks up, and moves in the paint's surface. Within the paint is a special material which triggers almost all this heat energy to be converted into electric energy and released from the surface. It's possible to have deep coloured paint. If the paint surface gets damage, for example dirt, wear or a flaw, the effectiveness of the paint is not reduced. The paint is not glossy so it is cheap and it's possible to use it with a wide range of resins. 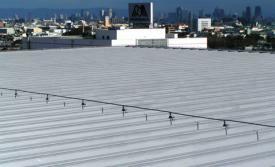 Example use: metal roofs, waterproof seats. Even in summer's heat, you can walk bare foot. 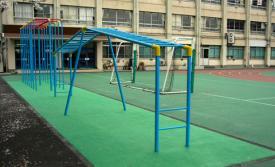 Recently we have been busy installing similar surfaces in other schools and parks. 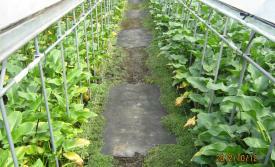 When you walk on this surface, you can easily notice how cool it is compared to other surfaces. 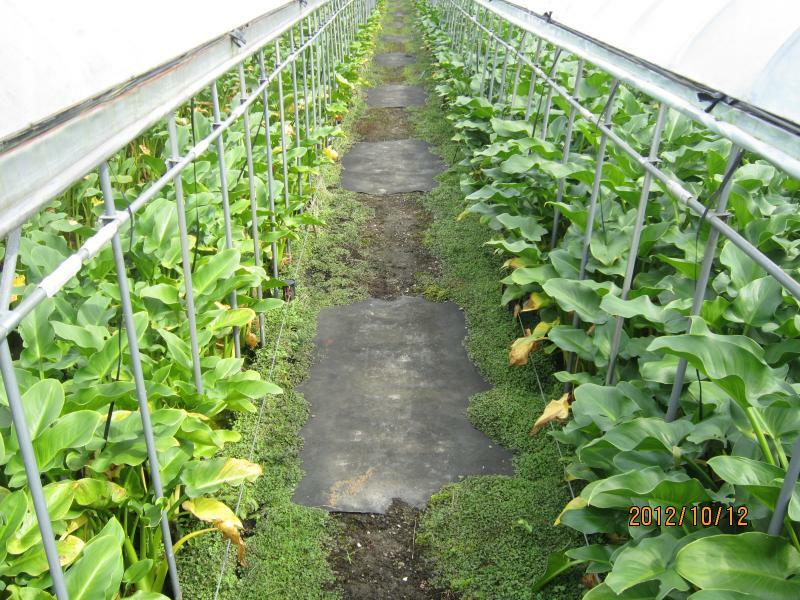 The plants in the right side of the photo have a mesh net of Heat Exchange D-47 plastic sheeting suspended above them (plants on the left do not). 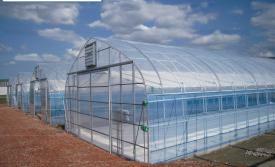 A heat blocking film with Heat Exchange D-47 printed onto it was installed inside the green house. The film installed on a steel frame pipe. 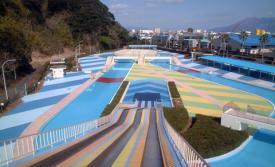 Because this playing field is painted with Heat Exchange paint, the students can play bare foot and lie down in summer. 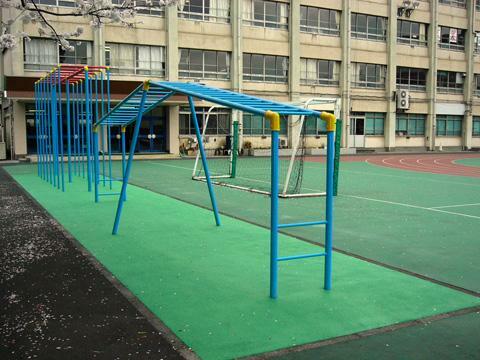 In summer, when you touch the playground equipment, it doesn't feel hot and in winter it feels warm. 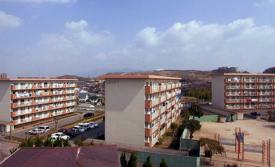 Because the roof of this company is painted with Heat Exchange Paint, the building produced less CO2 than estimated. The effectiveness of the paint continued in the second year as well. 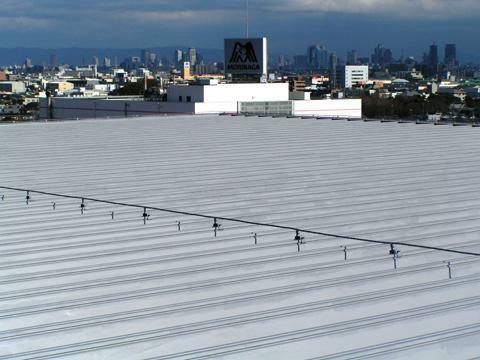 This company saves about US$ 8,000 a year in electrical bills because of the Heat Exchange Paint on the roof of their building. The surface of this bridge is 4˚C when the air temperature is 0˚C. This difference in temperature is due to the Heat Exchange Paint on the underside of the bridge. 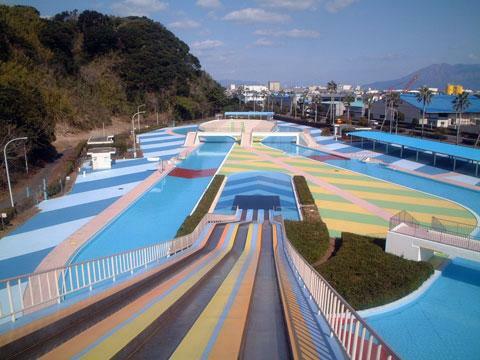 In summer children can run around the pool on the cool Heat Exchange Painted surface. This sidewalk is painted with Heat Exchange Paint which lessens the reflected heat. On hot sunny days, small children can walk comfortably. 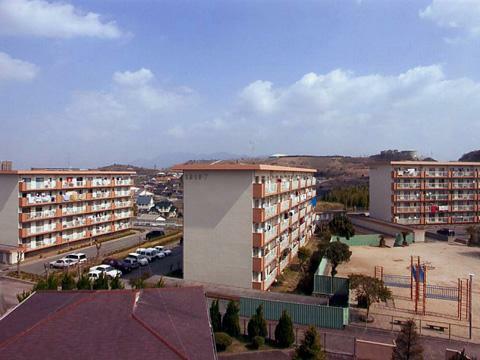 All the walls and roofs of these apartment blocks were painted with Heat Exchange Paint, lessening condensation. 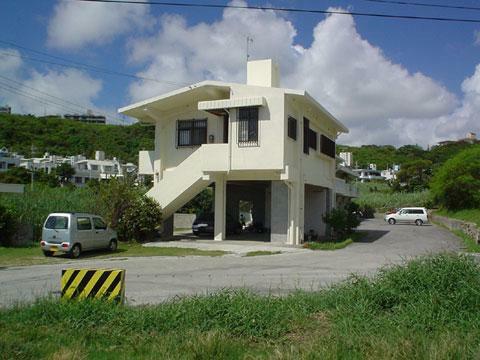 This whole house in Okinawa is painted in Heat Exchange Paint. 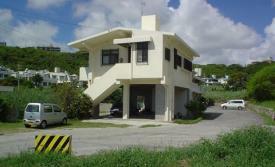 Okinawa is very hot in summer, but due to the paint, there is no need to use air conditioning at night in this house.